Jazz Standards are songs that are often used as vehicles for improvisation. If you get into playing jazz it is expected that you will learn many songs, especially if you get into jamming or doing shows, it will be expected that you know all the popular tunes and can improvise around them. Please make sure you check out the How To Learn A Jazz Standard lesson before using the lessons below or you won't get the most out of them! The first Jazz Standard we're going to check out was the first one I ever learned, an easy swing song called Autumn Leaves. A great song for beginners which contains many common jazz chord sequences. 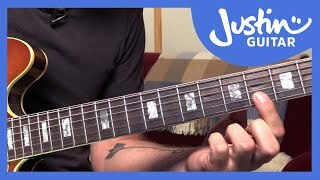 Fairly easy to improvise over and a good one for practising your lines (jazz licks are called lines) and getting into substitutions, chord melody and walking bass ideas (which I'll be getting into at a later date!). 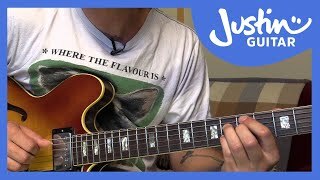 In this lesson, we look at the chords for the classic jazz standard Autumn Leaves, a popular starter for beginners! 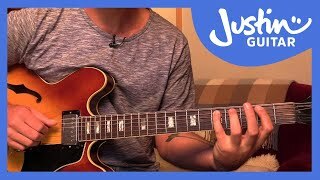 In this lesson, we learn how to play the melody for this easy jazz standard. 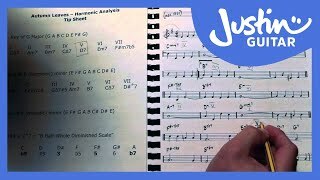 The Harmonic Analysis of the jazz standard Autumn Leaves is not particularly difficult and a good introduction to this essential jazz skill. 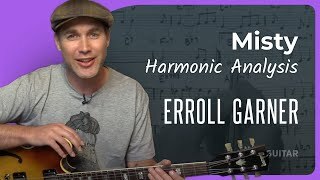 In this lesson we go through some ideas and things you might like to explore on the song! Ready to get yourself sounding like a real jazzer now? 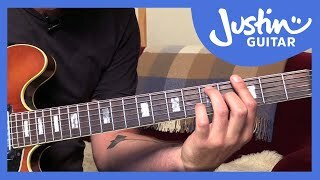 In this walking bass version of Autumn Leaves you pay the bass and chords at the same time! One of the most beautiful jazz ballads and a lovely one for exploring your chord extensions. Because it's slow beginners have a bit of time to think and try out more chord grips. Makes a wonderful chord melody this one too which I'll get to at some point! Remember to start real simple and learn the root notes and chord types and be real solid with them before getting into any substitutions! 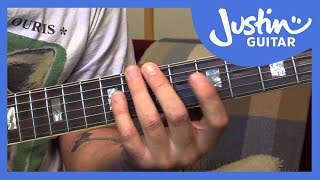 Lot of people been asking about a Bossa tune, so I've chosen this one because it's easy for beginners to get their heads around. 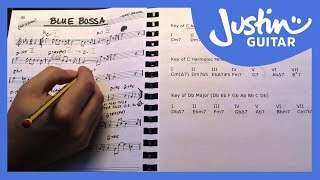 Make sure you check out the Bossa Rhythm lesson before trying this one out, it will make it a lot easier!